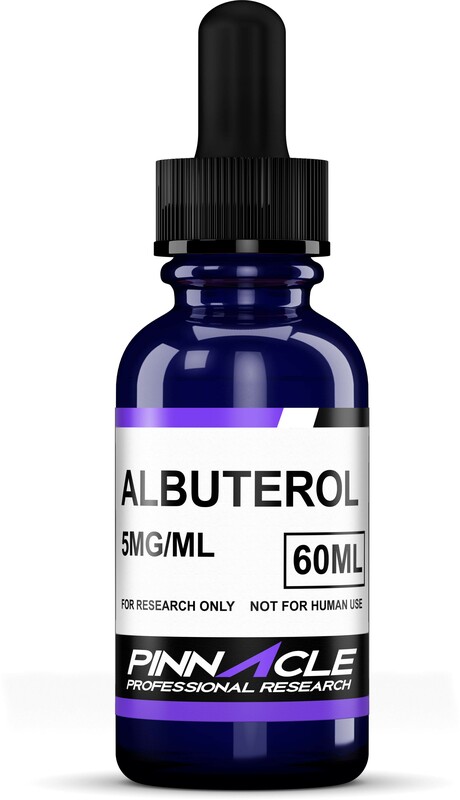 Albuterol is a muscle relaxant suggested by physicians for the treatment of asthma. Asthma is an obstructive airway disease that is initiated by spasm of bronchial muscles. Use of this bronchodilator is suggested in the cases of chronic obstructive pulmonary disease too. This medication is made available in the form of aerosol, and extended release tablet. The prescribed dose of this medication is of 2-4 times in a day depending on the severity of the obstruction. This medication is made available at the medical stores in the form of 2mg and 4 mg extended release tablets and aerosols. A regular use of this medication would not only treat but also prevent the future episodes of breathlessness. Albuterol is a critical element in the long-term treatment of obstructive airway disease and can therefore be purchased in bulk for very affordable price through Pinnacle Peptides Before going forward with the administration of Albuterol, you would be required to give a detailed medical history of yours to the physician. For instance, if you have ever experienced, the episodes of heart failure, epilepsy or high blood glucose at any point of time in your life. This medication can be prescribed for kids who have passed the age of 3 years. For kids, the use of this medication is suggested in the form of nebulizer. In the case of adults, the use of aerosol is recommended half an hour before the initiation of a stressful activity. Albuterol aerosol made available by the medical companies comes with the capacity of 200 inhalations. The use of Albuterol inhaler is suggested in a careful manner for avoiding its entry into the eyes. If you are allergic to dust, make sure that the dust cap is always covering the mouthpiece. Shake in the aerosol inhaler every time before use. The subjects can perform tasks and exercises in a more intensified manner. The dosage for aspiring weightlifters and athletes varies depending on the kind of formulation they wish to opt for. Cleaning of inhaler from time to time is suggested for unobstructed passage of medication to come through. Vials, aerosol inhaler, and extended release tablets of this medication can be brought online through the online retailer Pinnacle Peptides. The products we offer are intended for laboratory research use only. In purchasing any of these items, the customer acknowledges that there are risks involved with consumption or distribution of these products. These chemicals are NOT intended to use as food additives, drugs, cosmetics, household chemicals or other inappropriate applications. The listing of a material on this site does not constitute a license to its use in infringement of any patent. All of the products will be handled only by qualified and properly trained professionals. All customers represent and warrant that through their own review and study that they are fully aware and knowledgeable about the following: Government regulations regarding the use of and exposure to all products. The health and safety hazards associated with the handling of the products they purchase. The necessity of adequately warning of the health and safety hazards associated with any products. Pinnacle Peptides and www.pinnaclepeptides.com reserves the right to limit and/or deny sales of products to any unqualified individuals if we have reason to believe that misuse will occur. Absolutely love the company and product.